Because our truck-mounted carpet cleaning system allows us to aggressively attack the stains on your carpet! Do you have pets? Our carpet cleaning system will also remove pet hair and bad urine smells – and we will top that off with deodorizing your floor! We know that first impressions mean everything, so that’s why we get the job done right the first time! 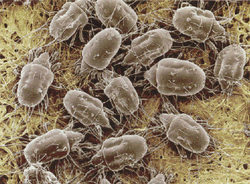 Have you heard of dust mites? If you haven’t had your carpet professionally cleaned in a while we can guarantee you that dust mites are on your floor right now. You can’t see them with the natural eye, so you probably think your floor is clean because you don’t have any stains. Well these critters build up over a period of time and the normal vacuum can’t get these little bugs up. This is why you need a yearly professional carpet cleaning service in your home by StainLifters, because we clean up those ugly bugs that you can see only with a microscope. Our high power vacuum will remove those unseen dust mites. Your floor will feel so much softer and more comfortable, but most importantly it will look better. 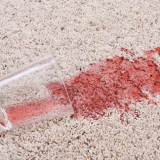 A freshly cleaned carpet with our deodorizing system will cause your house to smell better. Contact StainLifters for your free quote today!